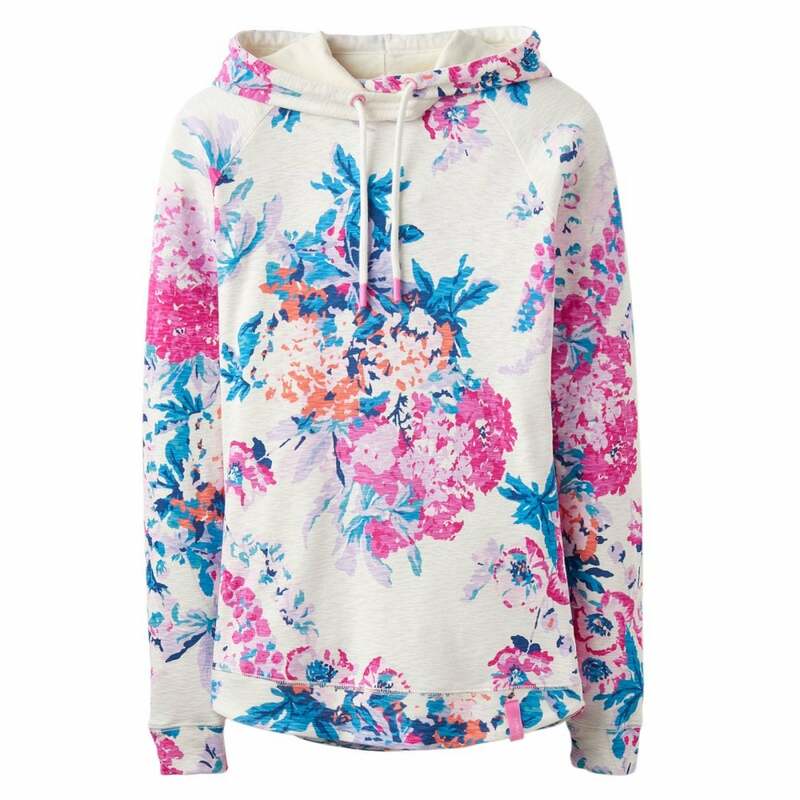 The Joules Marlston Print Hooded Sweatshirt is ideal throw on for a dash into town, when you've just got back from the beach or even when you aren't going anywhere and staying at home is the order of the day! This Joules slub cotton sweatshirt was made with summer in mind and although it's lightweight, it will still banish a breeze with ease. Super comfy to wear and stylish to boot, looks brilliant with your favourite pair of skinny jeans.